Uwe-Karsten Staedter is the latest VW executive to move to Porsche. Porsche's newly created purchasing department will be headed by veteran Volkswagen executive Uwe-Karsten Staedter. Porsche is creating a stand-alone purchasing department as it expands its lineup to seven models from four and seeks to double annual sales to 200,000 units by 2018. Previously, purchasing at Porsche was controlled by the carmaker's finance division. Staedter, 54, was born in Wolfsburg and joined VW in 1974. 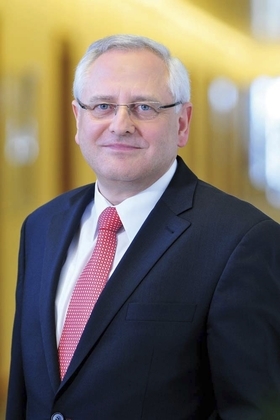 He has been in charge of VW's electrical and electronic component purchasing since 2007 and will take up his new management board post at Porsche on April 1. Porsche CEO Matthias Mueller said in a statement he was "delighted" that Staedter, an experienced executive who is well known within purchasing industry, will join the carmaker. Mueller said the company's ambitious targets and increasing sales volumes mean that purchasing will have an even greater importance within the carmaker in the future. Porsche is merging with VW Group and there have been a number of job swaps between the two companies. Mueller became Porsche CEO last October, moving from his role as head of product planning and management for VW Group. He replaced Michael Macht when Macht was named head of group production at VW Group. Former Porsche executive vice chairman Wolfgang Duerheimer has also switched to VW to head the ultraluxury Bentley and Bugatti brands.